The problem is that we have taken on that gopher mentality of "Yea, well we lost, be we out-shot them heavily so we must be the better team". Good Lord, even Schloss keeps writing about how bad we out-shoot our opponents!!! Who F*&^ing cares!!!!! A loss is a loss. We have lost our way on what our team jersey means and the institution and people they represent and what an Honor it is to play Fighting Sioux Hockey. This isn't Minnesota, BC, Michigan or Denver. Say all you want about those teams but we have much higher standards than those schools. I will always stand by the Sioux.....no matter what. But for the first time ever in my years of watching Sioux hockey, I'm really concerned about the lack of effort by the team. This is North Dakota, not Minnesota, BC, Denver or Michigan where you can get away with that. It used to be every year, opposing coaches would say about the Sioux is that "they just come in waves" no matter how much talent or lack there of. You never hear that anymore. We have won national titles with less talent. No question I am.....but i am also correct in my assessment of the team. It's been carried over from last year. Lighten up Francis. You know what i mean. That is the problem....lack of effort. I am the biggest Sioux fan around but i am so sick of our guys thinking they can just show up and win. Any kid in the country would love to play in this rink and have the facilities we have. If I were Berry i would make them dress over at Old memorial stadium and carry their bags to the Ralph and play. I don't care if we have blue-chippers or not. That has never been the issue with Fighting Sioux hockey. Right now the issue is who wants it more and who wants to come out of the corners with the puck with some tenacity and grit. 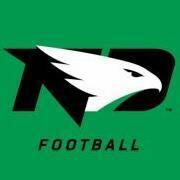 We have lost our vision of what it means to play for the logo and North Dakota and until it changes it's going to be a long year. And don't tell me its way too early to panic. Anyone can see that the will is not there. Can someone update the incoming commitments list for the next 3 years? What's the word on this kid? Skilled?.....rugged likes to mix it up? Average or a super stud? The refs got the Full Monty. What a complete embarrassment to the game. Yes. It's called narcissism. It runs rampant in Fargo.